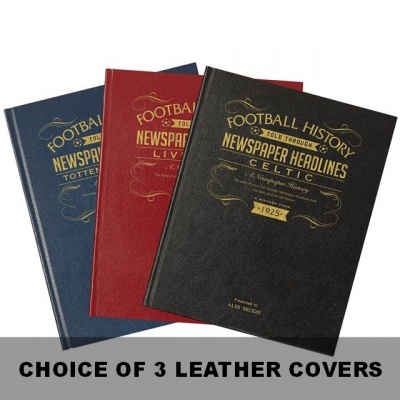 This commerative book makes an ideal and unique football gift for any Man United fan. 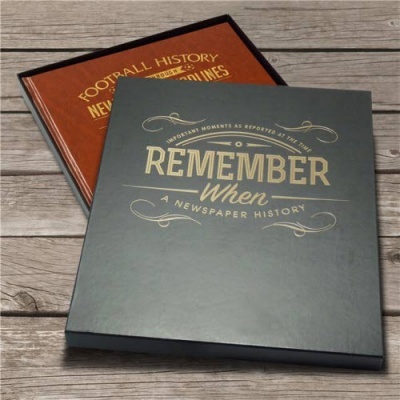 Starting with coverage of Uniteds 1909 FA Cup win, and continuing right up to the end of the last season, this book charts a glorious history of great games and League and Cup titles through the decades of the 20th century. 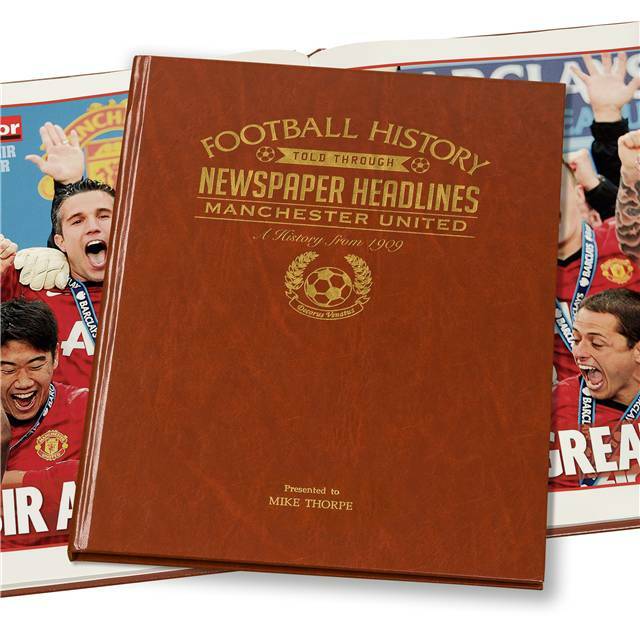 Top stories include League wins in 1911, 1952, 1957, 1965, and 1967, coverage of FA Cup title wins in 1948, 1963, 1977, 1983, 1985, 1990, and the1994 and 1996 doubles. European honours in 1968, 1991 and of course 1999 with the treble. Read about the tragic Munich air crash in 1958, the signing of Dennis Law for 115,000 in 1962, George Best's senior debut in 1963, Best's amazing performance against Benfica in 1966, the appointment of Alex Ferguson in 1986, being the first side to win the Premiership in 1993. The book then follows the amazing successes since then - Premiership titles, Champions league victories and much much more. A unique and wonderful gift and must have for all Man Utd fans.